Showcasing his capabilities as a producer and performer, Joe Haze speaks with ReGen about life on the stage and in the studio. With production credits in the realms of rock, industrial, jazz, pop, and even reggae, Joe Haze is the very model of the versatility of the modern producer. 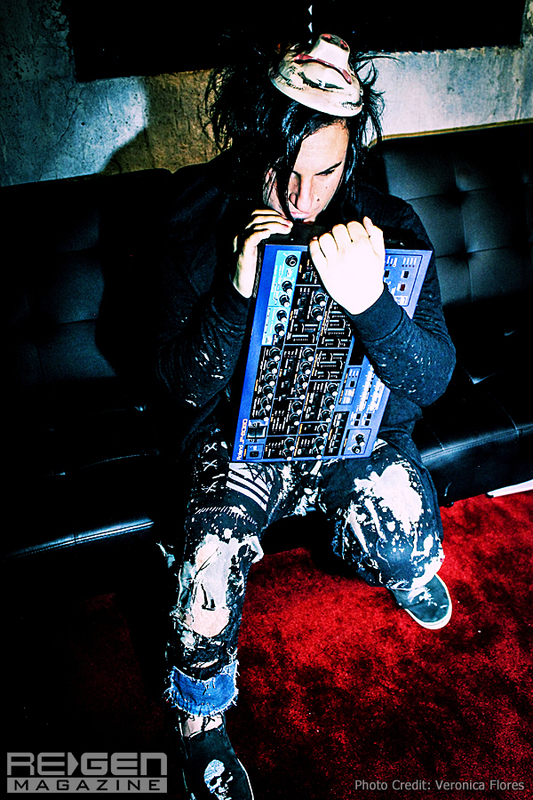 It is particularly in the last few years that he’s brought his skills to the forefront of the industrial scene, working prominently with Primitive Race – first as a remixer and then producing the band’s sophomore album, Soul Pretender – and as a member of the live lineup of Lords of Acid, touring with the band most recently on the 2017 Sextreme Fest Tour. Now in the studio working on an upcoming album from Primitive Race front man and former Faith No More singer, the late Chuck Mosley, Haze was gracious enough to speak with ReGen Magazine about his exploits both on and off the stage, letting us in on his creative process and some hints as to what he has next in store. Tell us about your tenure in Lords of Acid, how you came to join the band as part of the live lineup? Haze: Touring with Lords was great – we had no time off and hit the country like a hammer! I came home with bruises head to toe. 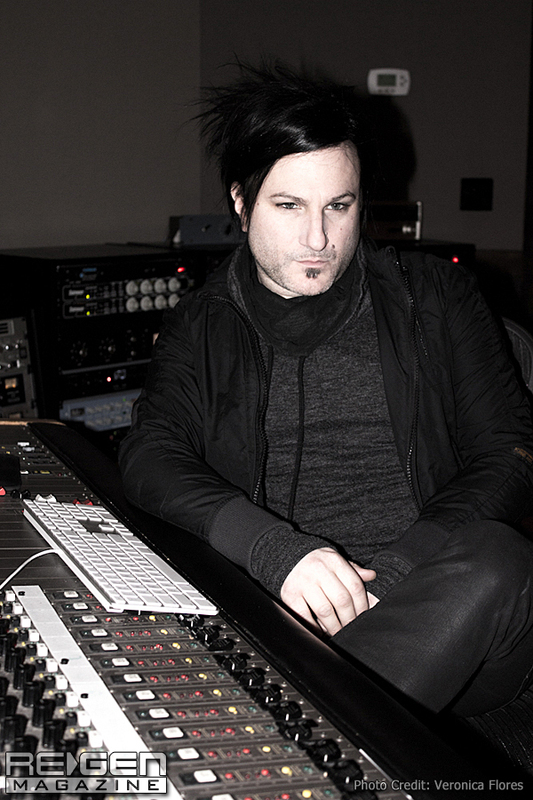 The Lords tour came about through my friendship with Chris Kniker (the mastermind behind Primitive Race and Chris Vrenna’s old manager); he also works closely with Lords of Acid. Chris knows my work ethic and that I can take getting molested every night! Onstage, you seemed particularly locked in with DieTrich Thrall (bass) and Galen Waling (drums), though the whole band seemed to strike that balance of tight performers, but a little unhinged. What are your thoughts on the dynamic of the live band? In what ways did it differ from other bands You’ve been a part of? 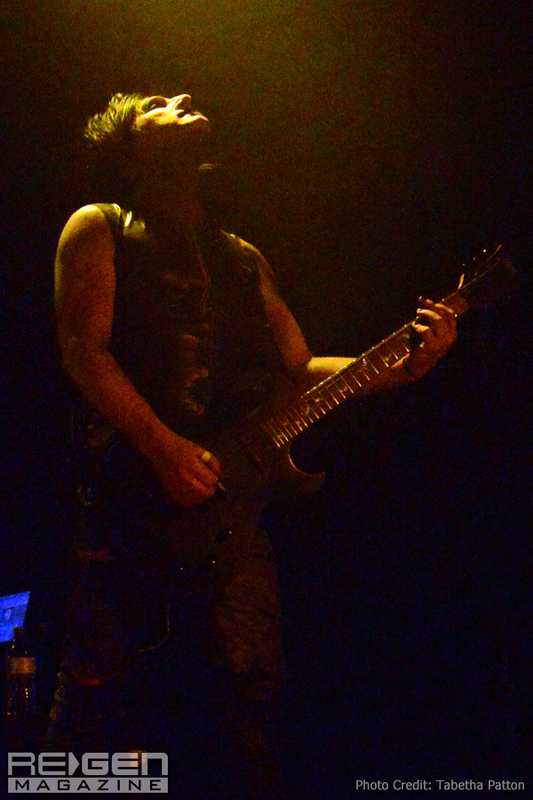 Haze: Praga gave us freedom to not only interpret our parts and make them our own, but to also have our ‘vibe’ onstage. I never felt like I was performing a role; it was all me every night. As a unit, we were locked together and nailed our parts, but we don’t like being statues onstage. I was using an in-ear system with a click that helped so I could move around, but still hear what I needed to hear. A few personal highlights – getting thrown into the crowd by Praga during ‘I Sit on Acid’ in Toronto… they dropped me! I was able to crawl back onstage and nail the end on the song! In N.Y., I was using my wireless and ended up finishing the show standing on top of a V.I.P. table in the balcony! Did you contribute to the new album, Pretty in Kink? Haze: No, but I may do a remix. You’re also a major player in Primitive Race, having contributed some remixes to the Long in the Tooth EP and the Follow the Leader remix album, and then producing the band’s second album. Tell us about your production approach on Soul Pretender and how your outlook on the ban”s music changed as you switched roles from remixer to producer? Haze: Initially, Chris and I had talked about me mixing a track or two. Shortly after, he asked me to mix the whole album. The band wrote and recorded their parts in their personal studios – Erie Loch sent vocals, drums, and rough mixes, Mark Gemini Thwaite sent guitar layers, etc…. I ended up tracking most of Chuck’s vocals for the album. I built one huge ProTools session for all the songs on the album, so all the drums, vocals, etc. had the same treatments. This gave the album a cohesive quality similar to mixing on an analog desk. The workflow was like a film mix where they would send revised parts or need edits to the songs so I had to stay flexible. My approach to the production was understanding the needed energy and the overall picture of the album. Chris and I spent hours on the phone chatting about the direction of the album and listing to reference albums. I ended up augmenting Dale Crover’s drums with samples I made, layering them underneath his playing. On the broader scale, what do you feel you’ve developed as your own production style? What have you most learned over the years that has had the biggest impact on how you approach production? Haze: These days, the lines are often blurred between producer, mixer, and performer. Each project requires me to tailor my overall approach to the artist’s needs. As a producer and mixer, I hope I am able to amplify what’s great about the artist and song. I am very hands on, often rewriting parts, programming, sound design, and mixing. 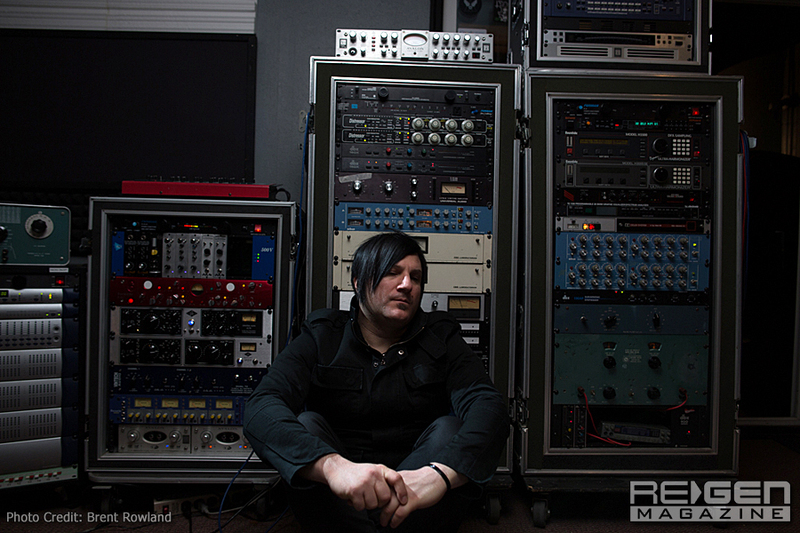 Working on projects with great producers (Sylvia Massy, Bill Kennedy, Chris Vrenna, Sean Beavan) taught me how push and pull the artist to make the most impactful music. For me, it’s all about using the studio as an instrument and being ultra creative. As a producer, you’ve worked in various styles – rock, industrial, jazz, reggae, etc. In terms of production and the demands of what each style of music requires, what sort of difficulties or challenges do you encounter when moving across different genres? Haze: The biggest challenge moving between genres of music is convincing the artist to trust my ability to serve the music regardless of style. It’s really about listening to the artist’s vision and getting to know them; in some cases, I will ask them to play a reference so I can hear something the way they hear it. In that capacity, you got to work with Chuck Mosley. What was it like to work with him given his long and storied musical history? Are there any particularly fond memories you have of him during this time that you’d like to share? Haze: Yes, when Chuck flew out to my studio to track vocals. My buddy Lex from Econoline Crush/KingDoom happened to be visiting from Canada, so after each session, Lex and I would take Chuck to our favorite bar and watch him do karaoke! The three of us had a great time. I remember letting Chuck drive my car and all of us getting lost. Chuck felt comfortable working with me, and that lead to working with him on his upcoming solo album along with Matt Wallace (Faith No More, Maroon 5). You’ve also done remixes for PIG and Tweaker. What are your thoughts on the way industrial/rock has developed over the years? Haze: Technology has changed to the point where everybody can make music or do a remix. While I encourage creativity, putting distortion on a loop doesn’t make it industrial. 3TEETH is shaking things up a bit! I admit to being stuck in 1994 with the gear I own and the way I approach remixes/programming. Early on, I had to force myself to not worry about what people thought of my remixes and just follow my gut. I am still surprised when people enjoy my work. It seems like many of the current alternative rock and metal bands are utilizing methods that industrial first cultivated, and they are now part of the standard; what are your thoughts on this? Haze: I love to see bands pushing themselves out of traditional formats and (hopefully) create something fresh. What sorts of developments in technology would you like to see? Haze: This may be happening, but I would love to see a dedicated OS for audio that was supported by DAW manufacturers. A major leap would be a DAW that responded to brain function – my brain is three steps ahead of my body when editing and creating. So, which do you prefer? Working in the studio or performing live? Of course, each have their benefits and are completely different worlds in many respects, but which would you say is your preferred realm? Haze: I am a studio person, but would love to tour three-to-four months out of the year. Being in the studio and the process of making albums is all I wanted to do from an early age; I love the process and pushing myself. I am self-taught, so I have always had to stay curious to keep learning. Haze: I am currently involved in several projects – The Banishment with George Lynch (Dokken, Lynch Mob, KXM) and Tommy Victor (PRONG, MINISTRY). 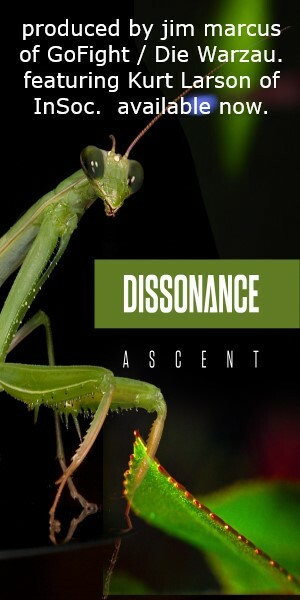 It’s a gritty rock/industrial ‘strange project.’ Also, I’m writing with DieTrich Thrall (Lords of Acid, Doyle) and mixing songs for Chuck Mosley’s solo album.